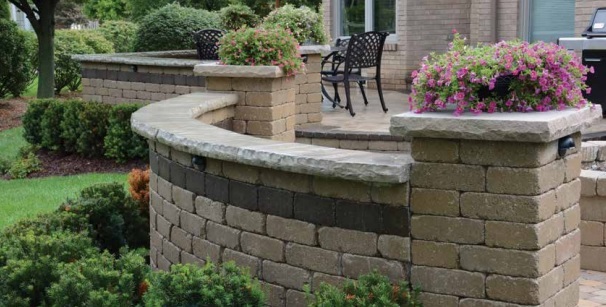 Fendt Old World Glenstone is crafted for ease of use to build small decorative walls, columns, planters, steps, and freestanding knee walls. 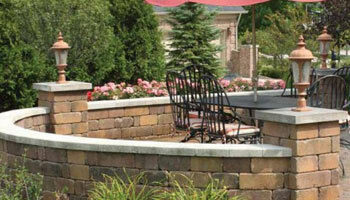 These tumbled Old World Glen Stone wall stones are featured in a singular dimensional size for maximum versatility! RADIUS UNIT IS A STOCKED ITEM. STOCKED COLORS INCLUDE CAMEL, RUSTIC AND WALNUT. SOLD IN FULL PALLETS OR BY THE UNIT. STANDARD WALL UNITS AND BULLNOSE UNITS ARE SPECIAL ORDER ITEMS. SOLD BY THE FULL PALLET ONLY. 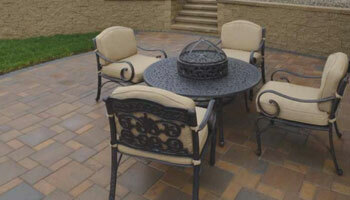 *BULLNOSE UNITS ONLY AVAILABLE IN CAMEL, LIMESTONE, RUSTIC, SLATE, AND WALNUT COLORS. 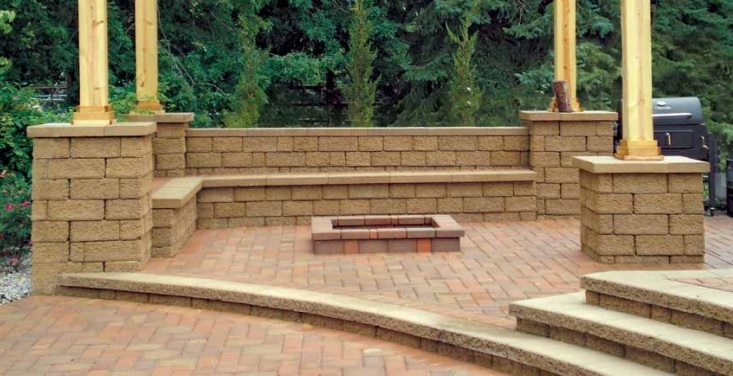 Imagine having a beautiful block fire pit in your back yard without the building hassle or the high price! Fendt now has fire pit block that is easy to install, requires no block cutting and is a fraction of the cost of traditional builds. 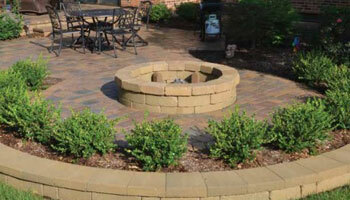 Fendt Old World Fire Pit Block creates a perfect 4' diameter circle with no cutting involved. Twelve blocks give you one full circle. 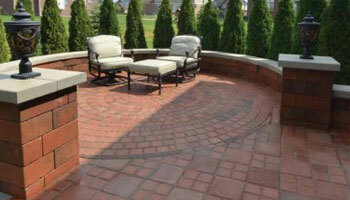 Sixteen units of the Fendt Old World 4" Radius Glenstone Block creates the perfect cap. 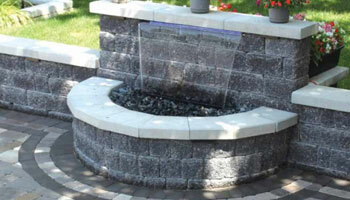 These blocks are also ideal for tree rings and wishing wells. STOCKED ITEM IN CAMEL, RUSTIC, AND WALNUT BLEND. SOLD IN FULL PALLETS OR BY THE UNIT. LIMESTONE IS A SPECIAL ORDER COLOR. SOLD IN FULL PALLETS ONLY. 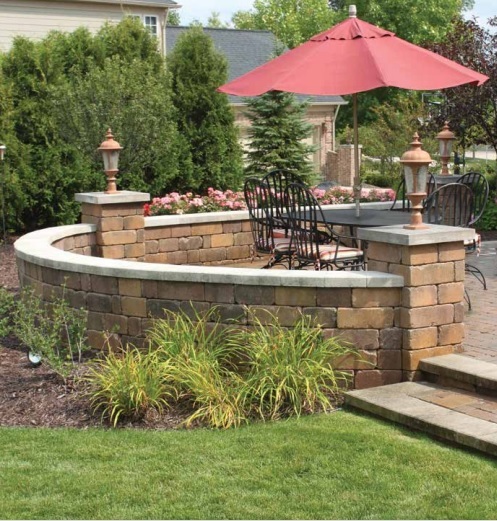 When it’s time to create the garden of your dreams, Fendt offers a full line of Garden Wall brand wall stones to create the elegant and unique look you want. 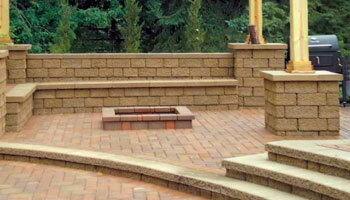 Fendt Garden Wall products come in a wide variety of exceptional colors. 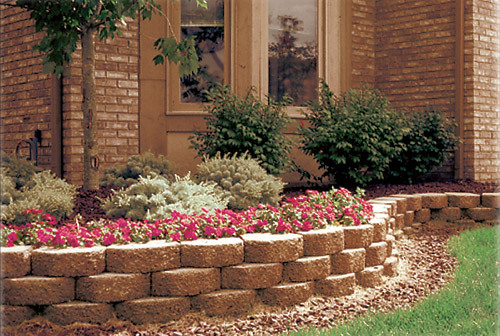 With their three-dimensional, textured appearance, they add an element of rugged perfection to any garden project. 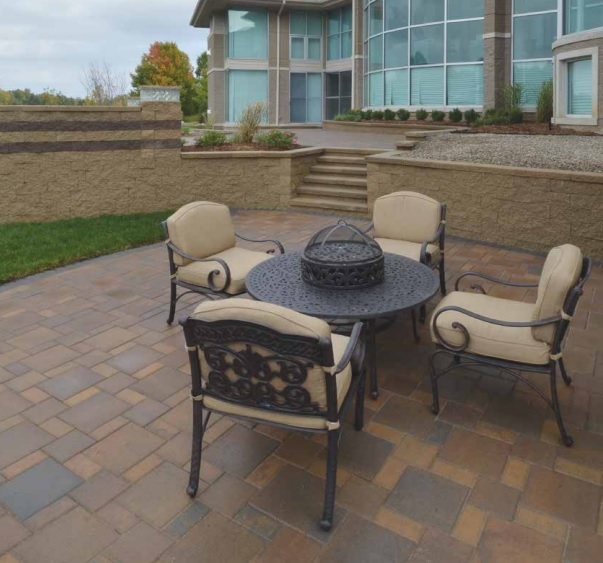 With unmatched strength and stability, Fendt Keystone Verazzo Stone™ has rugged good looks and aesthetic appeal. Each Keystone Verazzo Stone™ is angled on both sides providing different face lengths for a tight fitting, straight wall. Aligning units is also effortless due to the keystone proven pin connection system. 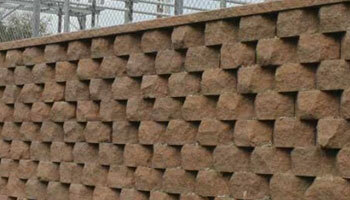 Each stone contains multiple pin positions allowing for a nearly vertical or offset wall. 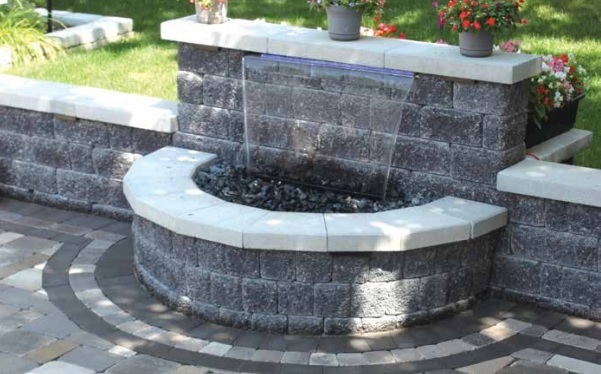 Keystone Verazzo™ looks like a natural element in your yard because each unit is finished on two sides. SPECIAL ORDER ITEM. SOLD IN FULL PALLETS ONLY. PINS SOLD SEPARATELY. *COUNTRY CORNER CAPS ONLY AVAILABLE IN CAMEL, GREYSTONE, LIMESTONE BLEND, RUSTIC BLEND, SLATE, AND WALNUT BLEND. This tumbled version of Stonegate Country Manor has all the winning features of the Country Manor product line with a new twist! 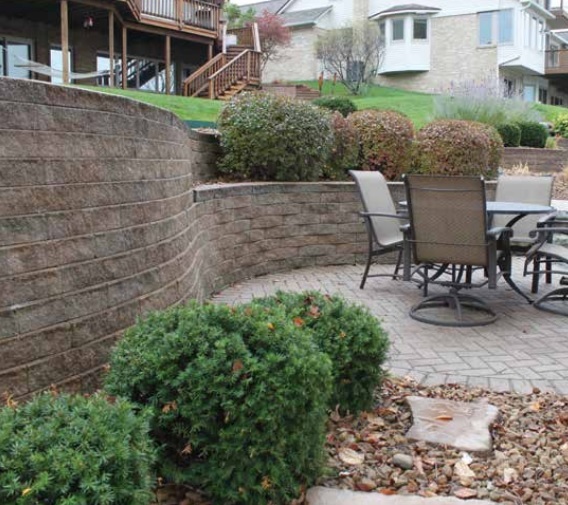 Fendt Old World Stonegate has a unique smooth face which allows for a more refined cut-stone look to complement your backyard patio, courtyard or decorative retaining wall. Old World Stonegate Country Manor is destined to fill the countryside this summer. Train your mind’s eye on an English countryside lane or a European estate wall. Now you have the idea behind Fendt Country Manor—random and rugged, yet blended with warmth, color and character. This non-tumbled version of Country Manor takes the theme even further with an aged look that evokes images of yesteryear. Train your mind’s eye on an English countryside lane or a European estate wall. Now you have the idea behind Fendt Country Manor—random and rugged, yet blended with warmth, color and character. This tumbled version of Country Manor takes the theme even further with an aged look that evokes images of yesteryear. 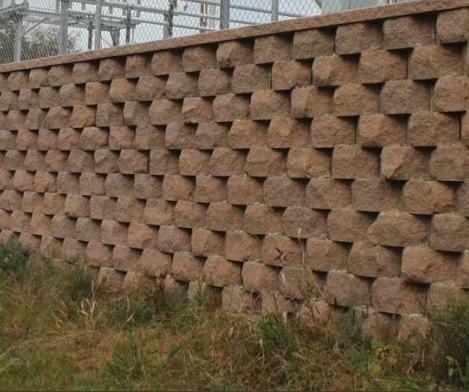 The Fendt Keystone Compac Hewnstone offers a high level of aesthetic design in a structural retaining wall unit that is specifically crafted for ease of installation. Its combination of superior design and structural capabilities brings a new, valuable option for structural walls. SPECIAL ORDER ITEM. SOLD IN FULL PALLETS ONLY. PINS SOLD SEPEARATELY. Fendt Keystone Straight Split wall stones are clean cut and classic for those seeking a more traditional wall presentation. 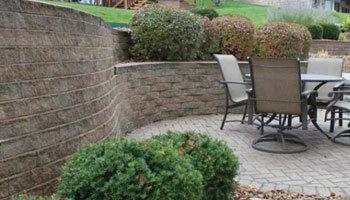 Keystone Straight Split Wall Stones are available in a wide variety of sizes and colors. Imagine the creative possibilities! Perfect for border walls, tree rings, terraces, corners, curves, steps, and stairs. 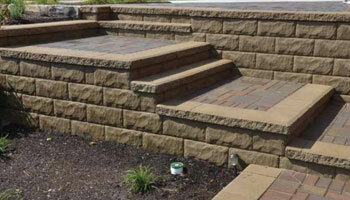 Fendt Keystone Sculptured Split wall stones offer a traditional and classic presentation. Add a creative flair with these wall stones. 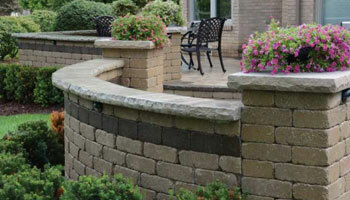 Available in a variety of colors and sculpted faces, these wall stones offer unlimited design possibilities. Turn any landscaping project, large or small, into a work of art!